Get involved! Run a food drive and make a difference! You can join us during our three major food drives, or choose a time that is convenient to you. We distribute food all year! Running a food drive or hosting your event is easy with our handy toolkits and guidelines. Please register in advance to request food collection bins, use our logo, or arrange for food pick up. 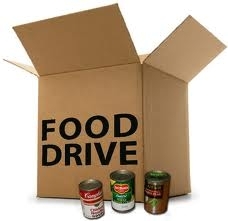 Speak with Clint Doolittle about organizing a food drive, please call 519.771.0025.